Nefesh Music can serve all your Jewish Orchestra and Jewish Wedding Band musical needs. 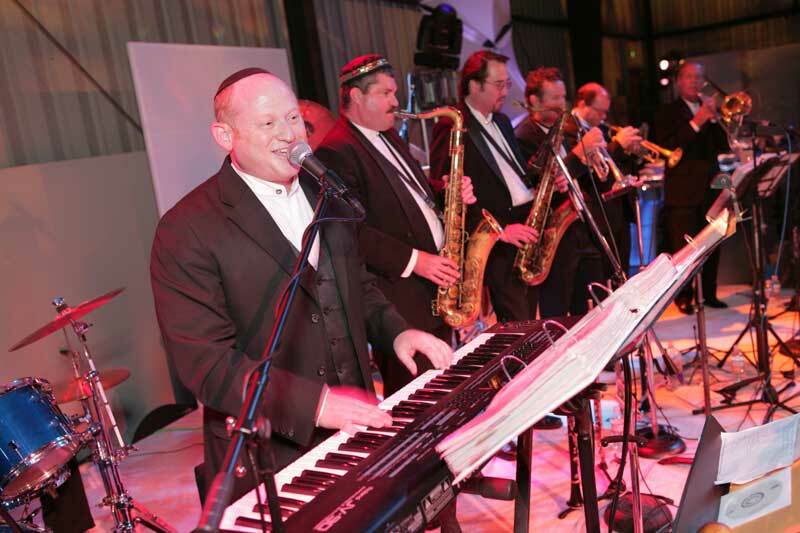 From a three-piece band to a 32-piece orchestra, Nefesh Music’s Jewish Orchestra Services can accommodate affairs of all sizes with the utmost professionalism. Our goal at Nefesh Music is to make your Simcha into an event, and one that will never be forgotten. Our greatest compliment is that your Simcha will be everything you have ever dreamed of, and we do so while keeping within your budget. With our high quality, professional and friendly Jewish orchestra and wedding band musicians, we strive to make you happy, and will go to any length to do so. We play all types of music from Jewish Simcha Music to Chassidic and Klezmer and from Motown and Swing to Rock ‘n’ Roll. We customize the music to your specific tastes and needs. We also provide party planners, string ensembles, sound systems, dance instructors and leaders, and DJs. No request is too small for us. For recommendations on our Jewish Orchestra and Wedding Band Services, please contact us. Nefesh Music Jewish Wedding Orchestra services Los Angeles – New York – Florida – Arizona – Seattle – Washington – Denver – Boston – Portland – San Diego – Phoenix – St. Louis – Las Vegas – Philadelphia – New Mexico – Dallas – Detroit – Houston – Chicago and any other location where Jewish Music is needed. Give us a call today!